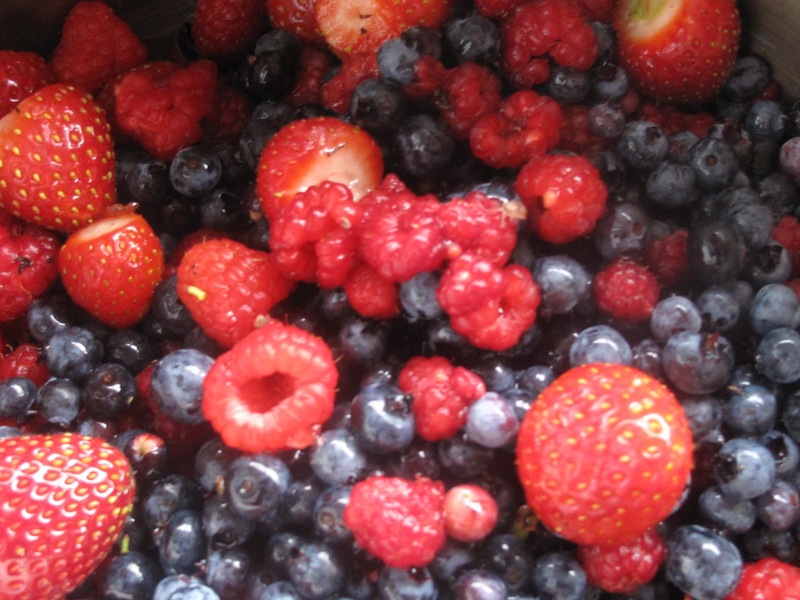 Its that time of year, or it was when I was younger anyway, berry pickin time! Really I guess there are multiple berry picking times, we go for Bakeapples in July usually, and Partridgeberries in September or even October, but when you mention berries to me, the first that come to mind are Raspberries and Blueberries, probably because they were so plentiful so close to home. We’d sometimes go as a family, but often as not, I would go alone, or me and Eric would go off somewhere. We didn’t have to look very far usually. I loved picking blueberries, not sure why them since there was more bending over, but I did. There was a patch just to the right of the old road leading from the old school garden in Apsey Brook, and there was no trouble to pick a gallon or more there in a short time, some as big as marbles. Whats odd to me, is that I never really cared for raw blueberries, I find the kinda tasteless, but still loved picking them. But once they were home and in a blueberry pudding, well then, yum! Raspberries on the other hand, I loved raw, but disliked picking. There were a couple of reasons for that I guess. One, they were hard to pick clean (ie: with no leaves and all good berries) mainly because they ripened fast and spoiled fast and you’d always have some ones with spots on them. Another reason was there were always stouts around. Anyone from Newfoundland knows what a stout is, annoying as hell, always pitching on your back, bites as hard as hell when they do, and nearly impossible to swat. 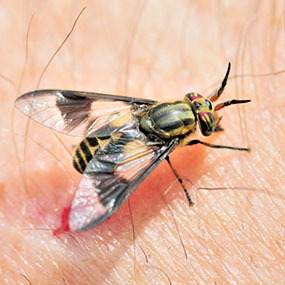 They have a black bar across their wings, and apparently are properly known as deer flies. And lastly another reason I hated picking them was because a lot of the bushes grew amongst old dead falls back home, or at least the easily accessible ones, and there was always a hornets nest somewhere around. Even if you didn’t step in a nest, you were likely to get a sting from a hornet somewhere along the line. nasty bastards, they are mean, and like to sting just for pleasure I think.